WHAT are NATURAL BODY PRODUCTS? The term “natural” is vaguely thrown around by marketers everyday. Careful, though, with the lack of standards in most jurisdictions, the term “natural” assures nothing. It basically implies that minimal processing has occurred and manufactured ingredients are not included. Some countries define and enforce the term “natural”, but not the United States. The term “organic” differs from “natural” in many countries including the United States. “Organic” has a legal definition and international standard. If something is organic it is labeled on products. On the contrary, if something is “natural” the FDA does not require labeling in the United States. The FDA prohibits false or misleading labeling, but gives no specifics. These natural body products contain no harsh, “manufactured”, chemicals. They are paraben-free. They have no damaging sulfates, SLS or SLES. They have no Triclosan. They are healthful and nourishing for skin. They are made with homemade recipes and ingredients from nature. Nothing artificial is added. They are naturally fragranced or unscented, with no fragrance at all. This homemade lotion contains: fresh goat milk, virgin coconut oil, olive leaf oil (squalene), vegetable glycerin, shea butter and a colza plant derived conditioning wax. This natural body products must be stored in a cool, dry, location. Since it contains fresh goats milk it can go rancid quickly. Never store in warm/hot environments. Discard if any foul odor occurs. It's best to use this product within six months. Do not use beyond one year. Lotion making tips and a homemade lotion recipe! This homemade lip balm glides on with ease with long lasting moisture. Relieve dry cracked lips. It leaves a slight sheen on the lips, like a homemade lip gloss. Available in a variety of natural flavors! Leaves no medicinal after taste. Lip balm ingredients and homemade recipes! This homemade face cream is a natural, overnight, cream. It's light weight and refreshing. It works on your skin while you're sleeping! It's formulated using a combination of botanical extracts and allantoin, (a natural skin softener). 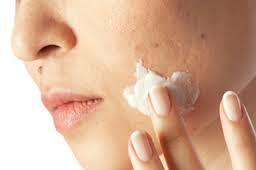 Find natural ingredients to make a skin nourishing face cream! Learn how to make homemade face cream! This "Fine Feet Honey Scrub" cleanses and exfoliates feet, leaving them soothed, soft and refreshed. This scrub contains raw honey and other natural ingredients. It's a heavy feeling scrub that penetrates down deep to slough off calluses and smooth cracked heels. Foot care tips and homemade recipes! This homemade body scrub is a light feeling lotion type of scrub. It cleanses, exfoliates, soothes and softens skin. It's mild and gentle, used anywhere on skin! See the homemade skin care page for the best beauty tips and homemade recipes! Avoid harsh, "manufactured", chemicals! Improve skin health and appearance! Learn how to have beautiful skin!